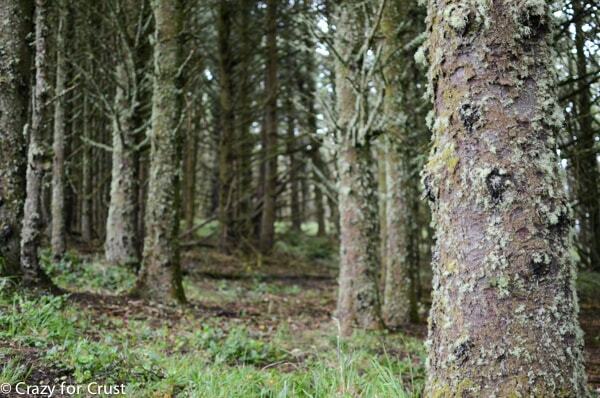 If you follow me on Instagram, you’ll know I was in Oregon last week, visiting Tillamook. You’ve heard of Tillamook, right? If you live anywhere on the West Coast, you probably just nodded your head and drooled a little bit. If you’re from the mid-west or the east coast, you may recognize the name but not be able to place it. I’ll give you a hint. CHEESE. 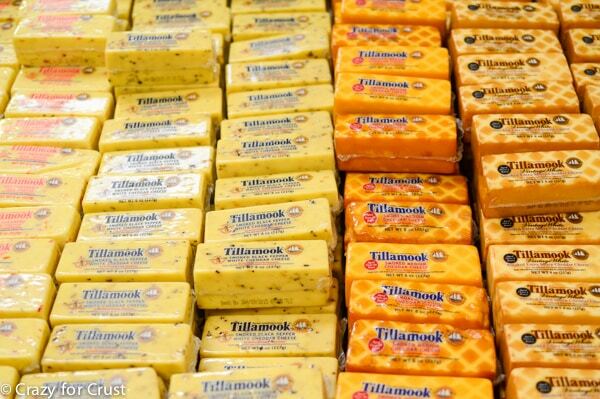 Tillamook = Cheese. The best cheese in the whole wide world. When I was a little girl my parents had an RV. You probably know my stories about how we drove 2 weeks north or south from San Francisco every summer, either to Disneyland and San Diego or through Oregon and into Washington. Once, we spent two weeks driving south and east, ending up in Colorado. Even though I loved Disneyland, heading north was my favorite. I’d get to see my Uncle and cousin, I’d get Mountain Bars, we’d visit Garibaldi for baklava, and we’d go to Tillamook. The stop at Tillamook was something I always looked forward too. It meant a fun afternoon of watching cheese get made and buying cheese and chocolate milk and lots and lots of ice cream. When the folks at Tillamook asked if I’d like to come visit, I literally jumped for joy. Nothing was going to keep me from that trip – it was a dream come true. I thought it would be like taking a step back into my childhood, and I was right. I actually got a little emotional when we drove up to the factory. It’s been over 25 years since I’ve been there, but I remembered it like it was yesterday. You know you want to see inside, right? Hang on, we’ll get there. The trip actually started in Portland. Tillamook is a city close to the coast of Oregon, and there are no airports nearby. But the distance didn’t stop the Tillamook Ice Cream Truck from welcoming us to Oregon. Ice cream #1: Oregon Strawberry from the Tillamook Truck. I ate a lot of ice cream last week. A loooot. 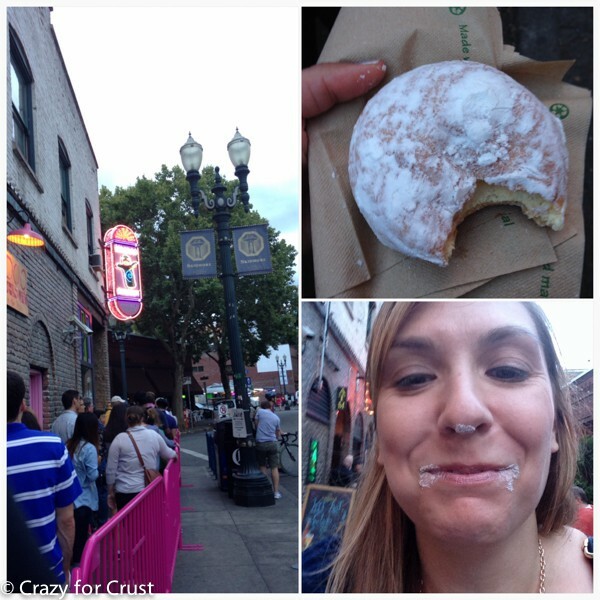 But that didn’t stop me from visiting a Portland institution while I was in town: VooDooo Doughnuts. A bowl of ice cream, french toast for lunch, 3 ice cream sandwiches for dinner, and I ended my night with a lemon filled doughnut. On the second day, the group of us headed out to the coast of Oregon. We got to tour the Tillamook Cheese Factory (going behind the scenes the regular tour doesn’t cover) and we got to eat lots of cheese. And more ice cream. 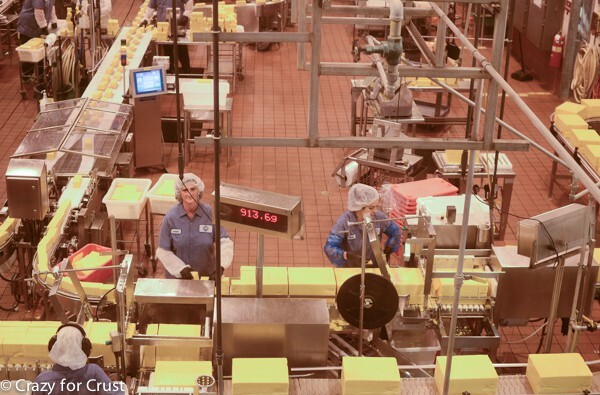 If you ever find yourself in Tillamook, Oregon you can take a tour of the cheese factory too. The ladies on the line are used to photos. They smiled for our cameras. One of the things I love about Tillamook is that it’s a co-op, owned by the farmers. 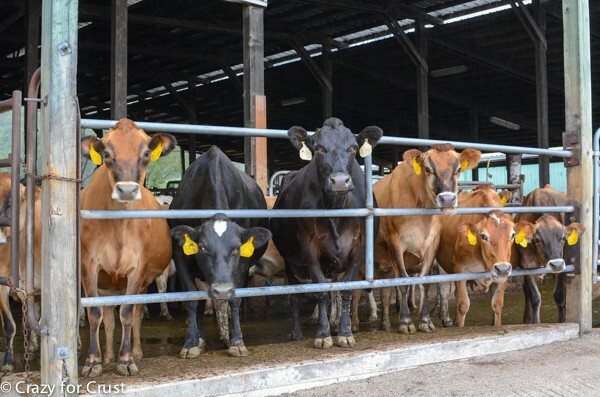 The dairy farmers who raise the cows actually have a part of the company. In 1909 some small creameries banded together to create the Tillamook County Creamery Association to produce official Tillamook Cheese. Nearly 100 farmer families make up the association, and many of the families have been farming in Tillamook County for generations. Those huge blocks of cheese you see are their signature medium cheddar. All the cheese is made and aged on site. 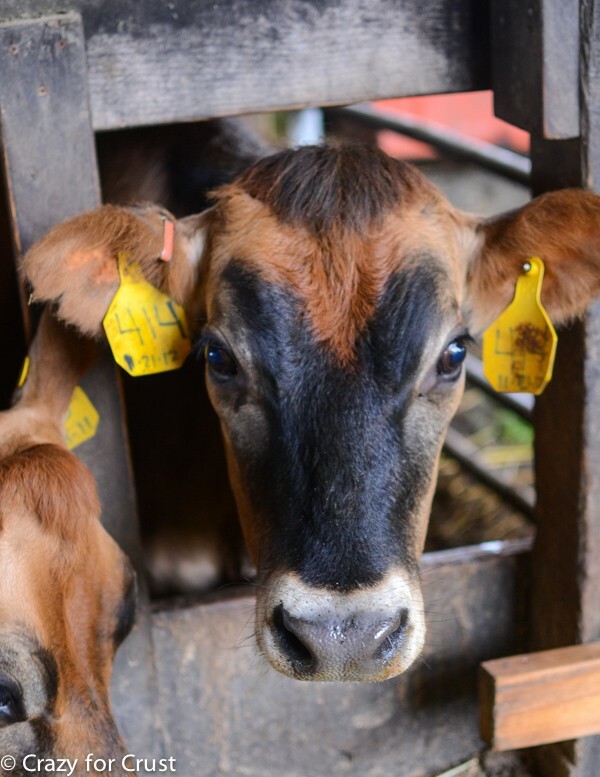 They process over 500,000 pounds of cheese per day and go through over 1.6 million pounds of milk. That’s a lot of cheese! We got to meet Dale, the head cheese maker. He’s been there for 45 years. I’m guessing he’s made of cheese, at this point. We also got to meet Jill, the manager of product quality. Her taste buds are my heroes. She’s got such a refined palate, she’s often asked to judge at World and National cheese contests. 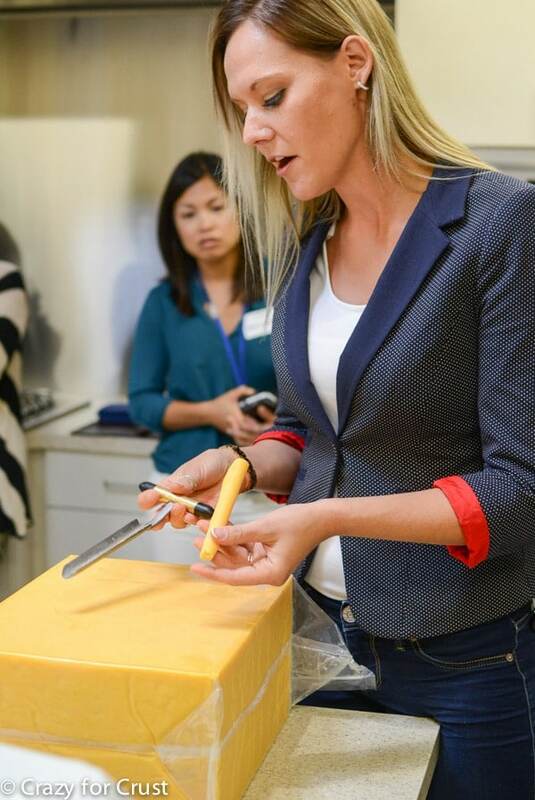 She showed us how they test the aged cheese (the medium cheddar is aged 60 days) and we got to pull our own plug. She also let us in on some new secret flavors of cheese and ice cream that are coming out in January. I can’t tell you what flavors, but be ready to race to your store in 2015! 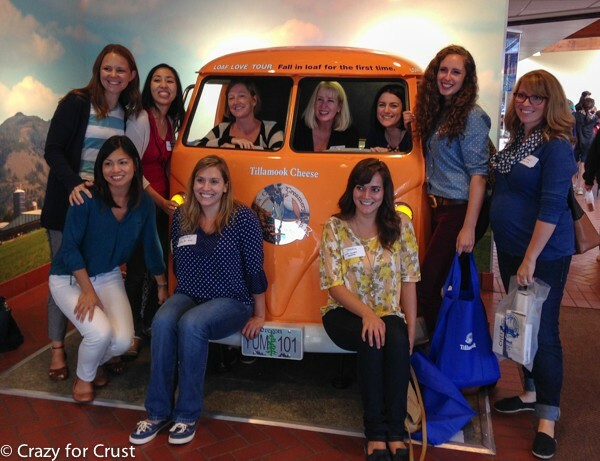 We had some fun trying to pile into the Tillamook Cheese Van. Then we shopped at the gift store. When I was a kid, we’d stockpile the RV with medium and extra sharp cheddar (the black label), chocolate milk, and ice cream. The RV wouldn’t be out of the parking lot and the huge ice cream cones would be gone, as would the quart of chocolate milk. Once we left the factory, we headed off to the Oregon coast for the night. It was typical (gorgeous) summer Oregon weather: overcast and foggy. 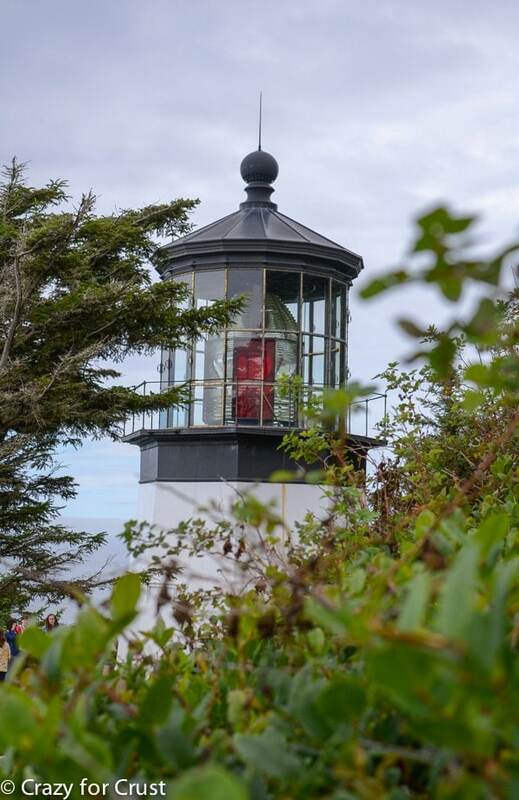 We stopped at Cape Meares to see the scenic lighthouse. I don’t often share my non-food photography here on the blog (truth is, I rarely take any non-food photos!) but I got some good shots of the lighthouse and the trees. I absolutely love this photo. The entire time I was there I was expecting a werewolf to run alongside the bus and a sparkly vampire to show up in the woods. 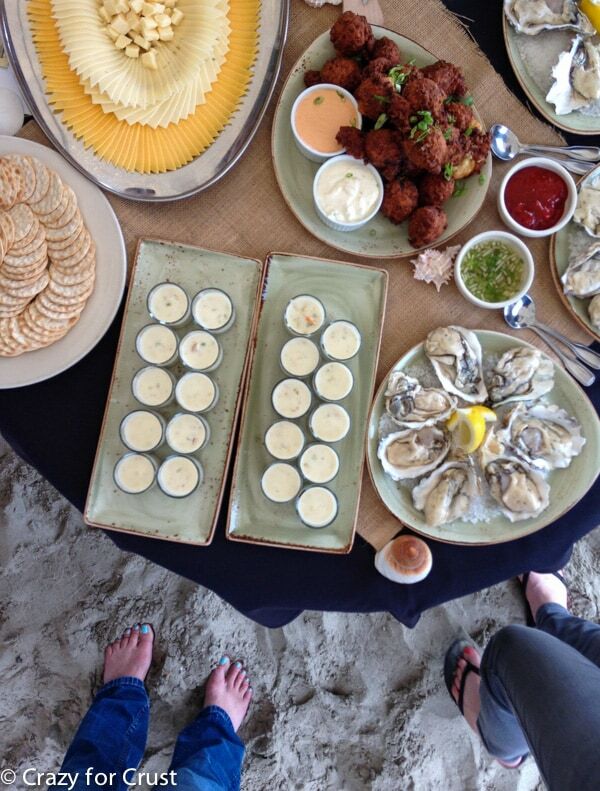 That night we had dinner on the beach. I have to give a shout out to this wine-in-a-can. 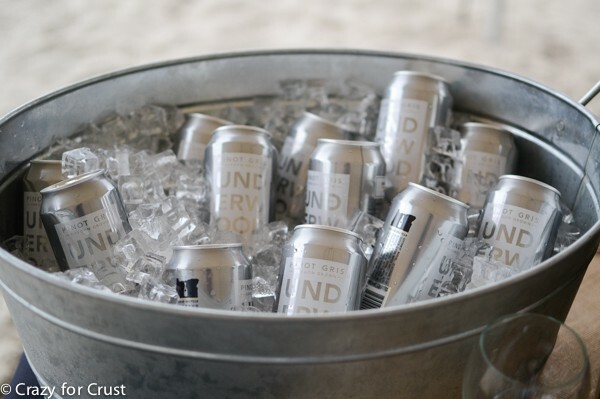 The Union Wine Company Pinot Gris now comes in a can and seriously? Best Pinot Gris I’ve ever had. It’s an Oregon wine, and they have red too. 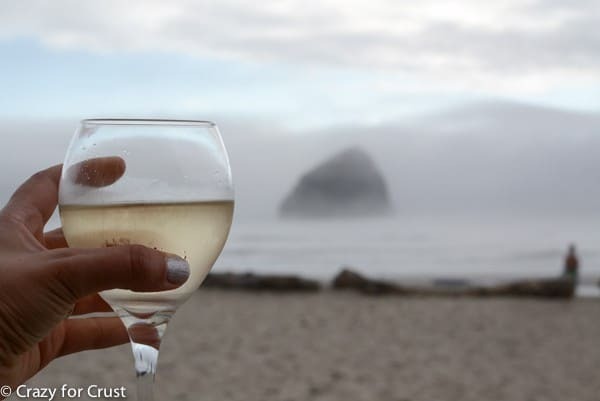 Wine and the beach. Does it get any better? Oh yeah. It kind of does. More ice cream. Tillamook now makes Tillabars. This is the Salted Caramel. To. Die. For. We stayed that night at the Inn at Cape Kiwanda, which is a gorgeous hotel. Every room had a view of the beach! I’m totally taking Mel and Jordan back there. 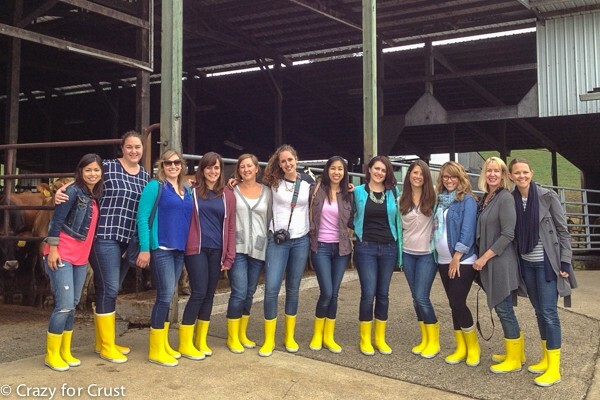 On the last day of the tour, we got to visit a Tillamook farm. Okay, I gotta be honest. Before that day, I was all Cows? Okay, they moo. They smell. They make milk. What’s the big deal? Now? Now I want a cow. I swear they’re like very large dogs. Each gal has a different hairstyle. They were friendly. They let me pet them. I let them lick me. We took selfies. She’s totally posing, BTW, don’t you think? 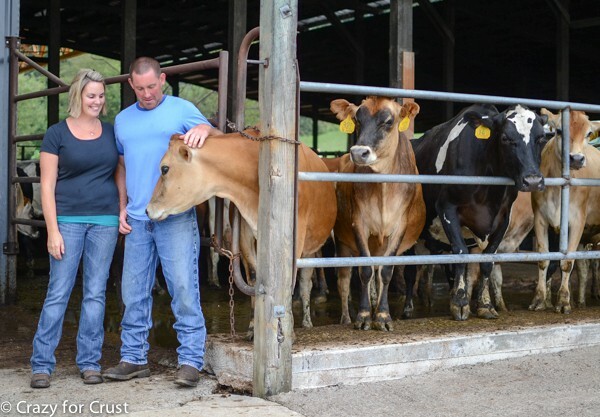 Wendy and Ryan, whose farm we visited, gave us a tour of what it’s like to be a dairy farmer. He handles the cows, she handles the calves. We even got to see baby calves!! You can just tell the cows were happy at their farm. 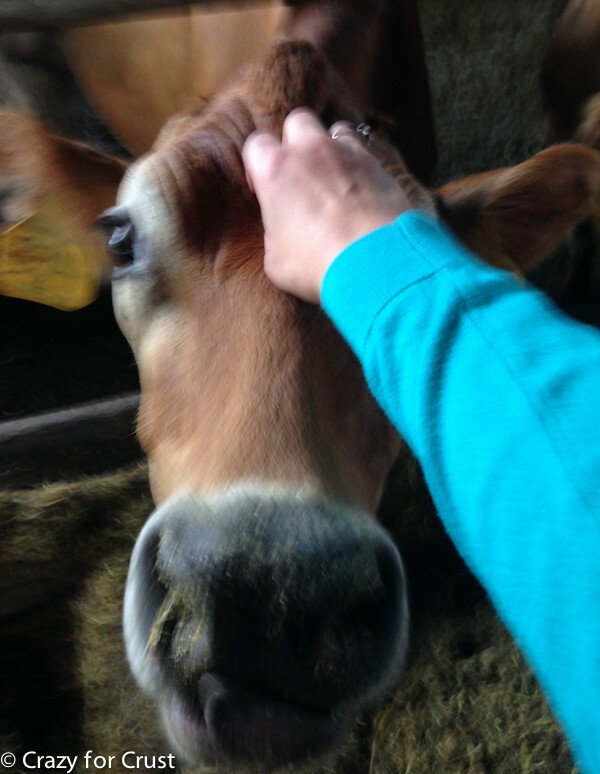 When Wendy would walk up to one of the gates, cows would come running to greet her. She’s their momma. Before last week I didn’t know “happy cows” was a thing. I thought it was just a commercial. But it is a real thing. Happy cows make happy cheese. 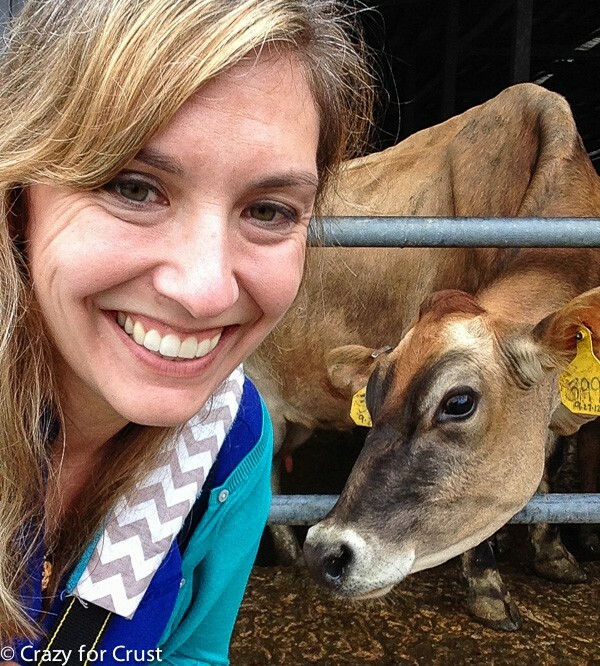 Happy cows make Tillamook cheese! I loved getting to see Tillamook again, as an adult. It reminded me that there’s more to vacation than Disneyland and the beach. I cannot wait to take Jordan back with me to Oregon so she can experience Tillamook like I did when I was a kid. I had so much fun with these ladies last week. I’m so glad I got to meet them all! And then I had to come home, to real life. I couldn’t pack Tillamook cheddar or greek yogurt (seriously, we didn’t discuss it but it’s the best greek!!) or ice cream in my suitcase and that made me sad. 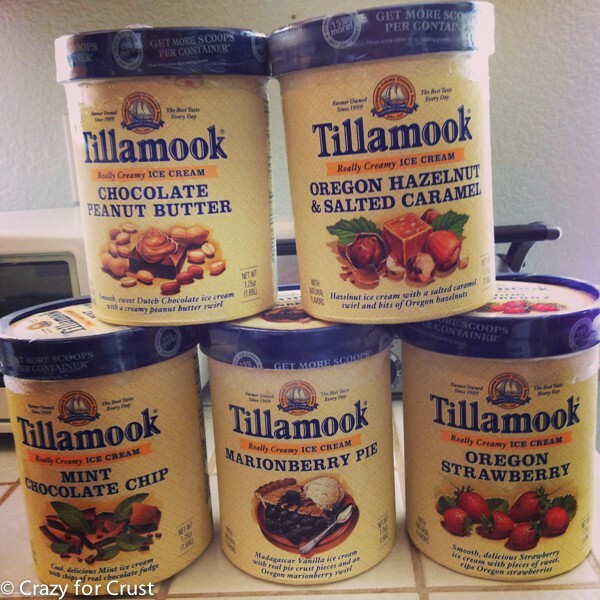 Have you ever been to Tillamook? I’d love to hear about your adventure! I grew up in Washington state, and live there now…..every summer as a child we spent at least two weeks at the Oregon coast. Which meant we also visited Tillamook Dairy at least once a year. 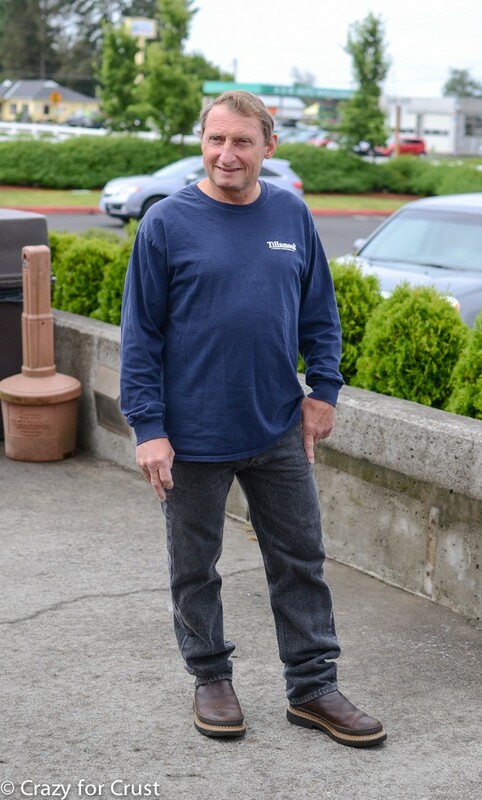 My children grew up doing the same thing, as an adult my family lived in Oregon, I was unofficially adopted by a family of dairy farmers who belonged to the Tillamook CO OP, so I was gifted with goodies from the Tillamook Dairy quite often! I was very lucky! They do make the best cheese in the world! I just got back from a trip to Portland yesterday and saw the signs for Tillamook on the freeway! I made my friends (who live there) promise we will go on our next trip. I am glad I get to live vicariously through you! Looks amazing. 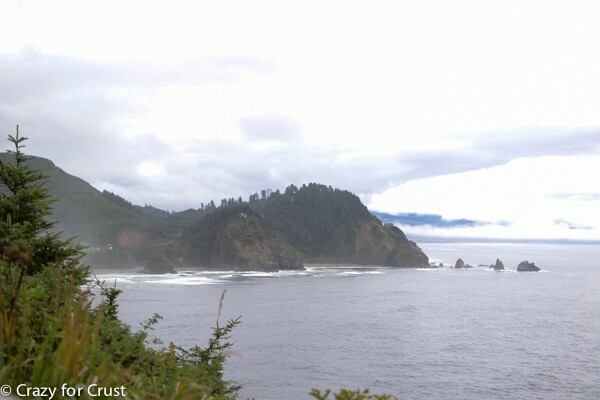 My daughter & I went to the coast about 10 years ago and it was rainy & cold in Astoria, so we drove down to wonderful weather & beautiful scenery in Tillamook. We took the tour and had to get a huge ice cream cone afterwards. It was the highlight of the trip! I actually got married in Oregon last year while on vacation and we went to the Tillamook factory. I have a picture of me and my husband in the cheese van too. We really enjoyed it. I’m lucky enough to live in Portland (I’m convinced the stork took me to the wrong state in the beginning and I should have been brought to Oregon…I’m an Oregonian through and through (though they tell me I have to live here for 20 years before I can say that officially). I took my mom and sister to the factory when they visited me the first year I lived here. I thought it a bit odd when people told me to take them to a cheese factory for an “experience” but I have to say we had fun and they got a big kick out of it and still remember that part of the trip. 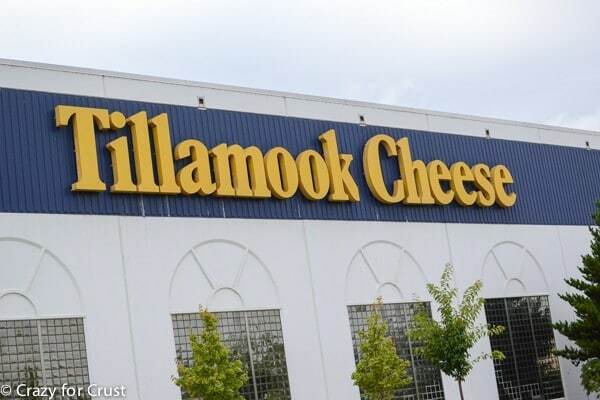 Tillamook is a BIG part of Portland and dairy. Really enjoyed your blog about it. Makes me want to get in the car and go visit them this weekend (and I’m not ashamed to say I can so easily from here!). Looks like such a fun trip! 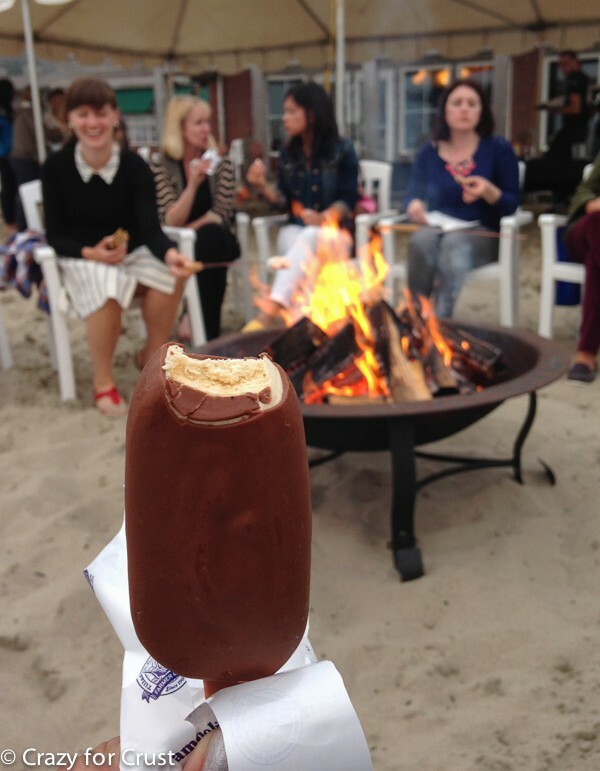 Mmm look at all that yummy cheese and ice cream – I would be in heaven! I’m in Portland. And still have never taken our kids. FAIL. Tillamook rules. Seriously. Oh my gosh you MUST go! It’s only about 1 1/2 from Portland – you could totally do a day trip. But get there early it gets CRAZY. If I ever get to Oregon ,you better believe I will find Tillamook. This trip was such a blast and it was so great to get to know you. 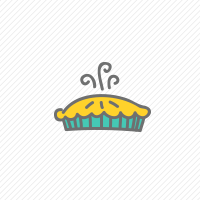 Love your site and can’t wait to try out some recipes! Loved this post! 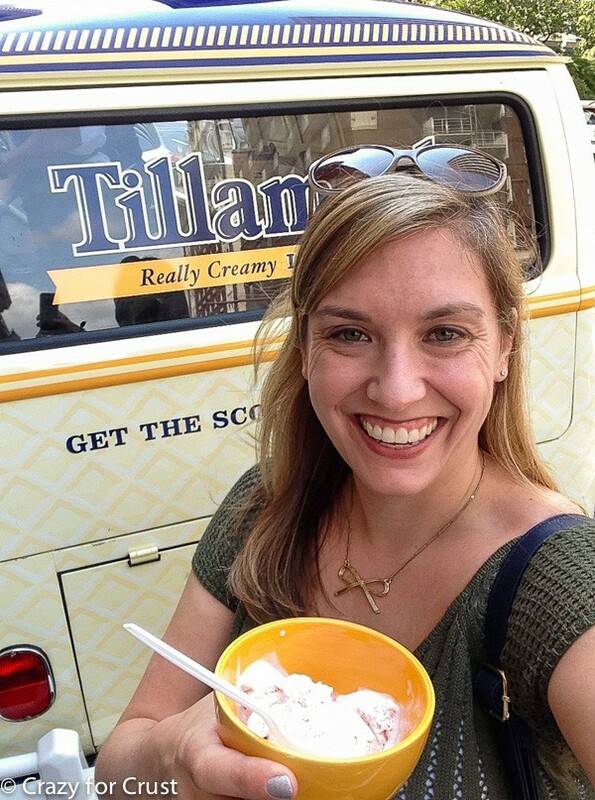 I grew up in Oregon, with cows and lots of Tillamook cheese – lots of happy memories reading about your trip! Need to find that wine now! loved your post about your trip to Tillamook and the Oregon coast, some of the most beautiful coast line on the west coast. We lived in Pennsylvania for 20 years and my dear mother-in-law always send 2lb brick of Tillamook cheddar for each birthday ( there were 5 of us) and Christmas, my kids called it “Oregon Cheese”. Now we live in Oregon, only an hours drive from the coast and Tillamook cheese and ice cream sold in every grocery store. We’re in heaven! It’s the best! I cannot wait to take my daughter there. I’ve been to Oregon twice this year and I really, really want to move there!